I find more and more people are embracing detoxification with the understanding that it’s an essential part maintaining and achieving optimum health. With the chemical bombardment we endure in our daily lives, eating a clean diet alone isn’t enough. Periodic detoxification efforts are needed. Detoxing doesn’t mean an intense 7 day fast on nothing but water. You can do a gentler and more mild cleanse by incorporating ingredients like ginger into your smoothies. Ginger is great natural detoxification agent because of its ability to fire up your body’s detoxification work and purge toxins from the body. Ginger tea is a popular detoxification aid, which you could use as the base of your smoothie, however fresh ginger or powdered ginger spice work just fine. Ginger can be used alone or combined with other detoxification aids, such as lemon juice. Ginger is also great for digestion and helps your body absorb nutrients and eliminate waste (part of detoxing). It’s also welcome in other dishes like stir fry’s and salads. 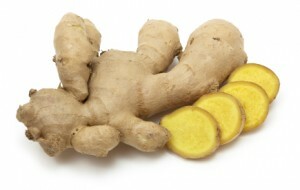 A peppery, sweet taste is how I would describe ginger when added to my smoothies. Alright, time to get your detox on with this ginger orange detox smoothie. Toss all of the ingredients into your high speed blender and blend for 30-45 seconds or until the desired consistency is reached. You ran with this smoothie precisely how I want everyone to run with my smoothies. Not all of my recipes contain a multitude of ingredients because I don’t want to scare people away. The add-ons are for additional ideas and for those who like to load their blender with lots of ingredients. The add-ons for the recipe were just updated based on your ideas – thanks! This is Laura from http://www.tatumscloset.com. I wanted to give you a shout out. I tried your lemon ginger detox and it was great. I’m going to mention this recipe on my blog too! Ive had a cold would this orange and ginger mix help with the cold??? I made this today and it tasted awesome!